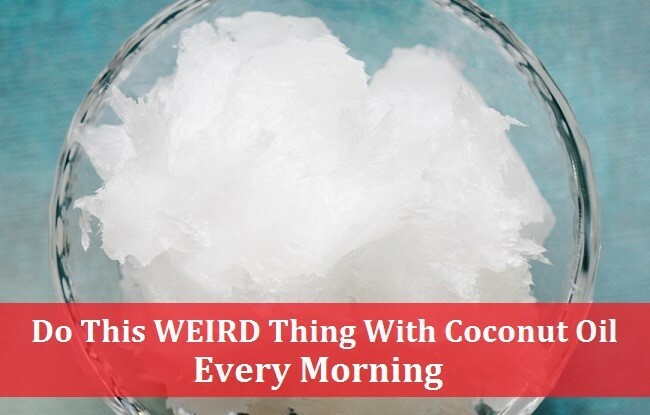 We’ve all heard about the numerous benefits of coconut oil: it can help you burn off fat, it improves blood cholesterol levels, it can protect your skin from the sun, and it can even boost brain function. But what if we also told you that coconut oil could also improve your oral health? Through a method called ‘oil pulling’, you can clean and detoxify your mouth and gums in as little as a few minutes. Keep reading to find out more. Oil pulling is an age old remedy that basically involves using natural substances, such as coconut oil, to clean the teeth and gums. The basic idea is to swish the oil around in your mouth for around 20 minutes, before spitting it out. This action helps to whiten your teeth, decrease sensitivity, and lower the amount of harmful bacteria in your mouth. Traditionally, sunflower oil and sesame oil were most commonly used for oil pulling, however coconut oil tastes better, and so it is becoming the more common ingredient. Want to try oil pulling for yourself? Pick up a jar of organic virgin coconut oil from this page on Amazon. Thank you for sharing. I will have to start doing this. Previous Previous post: Homestead Permaculture Books!